For information on available agriculture job openings please contact our farmworker staff or visit a WorkSource Office in the area of interest. They are experts in the local labor market and can help you connect with jobs and other valuable resources, like housing, health care and day care. You may also visit WorkSourceWA.com to view Washington job listings, post your résumé and find out about training opportunities. 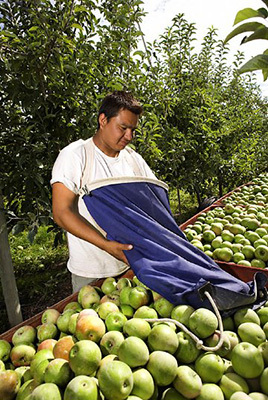 The H-2A program establishes a means for agricultural employers who anticipate a shortage of domestic workers to bring non-immigrant foreign workers to the United States to perform agricultural labor or services of a temporary or seasonal nature. For information on how ESD administers the H-2A program, see H-2A Handbook. You may also visit the Office of Foreign Labor Certification for more information. If you have questions please contact wcddh2a@esd.wa.gov. Through this Listserv, you will receive redacted copies of the job order portion of H-2A applications as received by ESD. DISCLAIMER: Documents received via this communication are in DRAFT form and have not yet been approved by ESD.